Well hello there, welcome to Cupcake Tuesday! I’m so excited to have you here! Looking for a cupcake recipe? 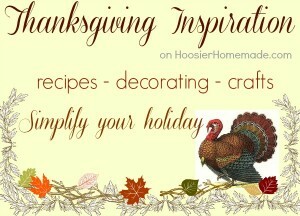 Our Cupcake Heaven page has over 200 cupcake recipes and decorating ideas! Do you have your Thanksgiving Menu all set? 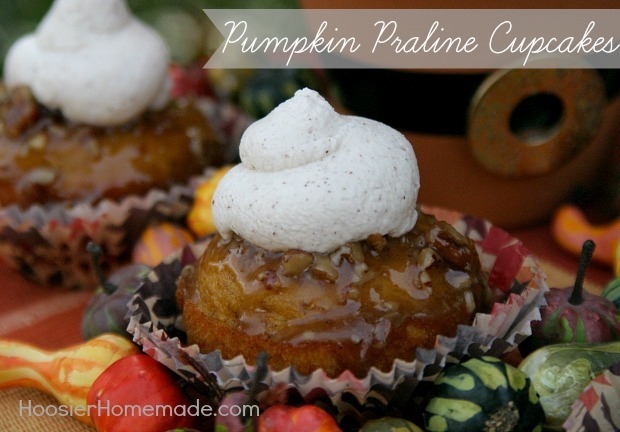 I hope not, because you are going to want to add these Pumpkin Praline Cupcakes! 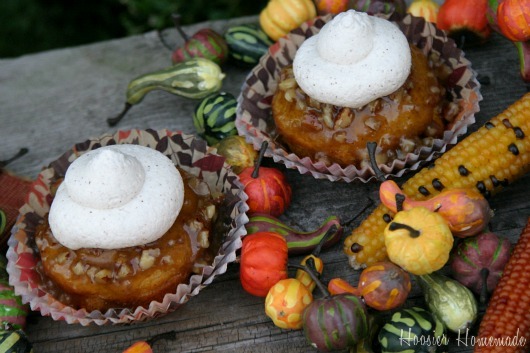 Now…although I understand that cupcakes aren’t typically what you think of when you bake for Thanksgiving, but Pumpkin and Pecans… definitively!! When I spotted this Praline Pumpkin Cake over on Betty Crocker, I knew right away that I wanted to change the recipe and make some cupcakes to share with you all. As you all know, I love quick and easy, and starting with a cake mix makes these just as easy as can be. I tried baking the cupcakes with the praline on the bottom like the cake has, but they just didn’t turn out all that well. So I opted to drizzle the praline on top and add some Cinnamon Whipping Cream, you can of course use Cool Whip if you like. Thank you for sharing this wonderful recipe.. These cupcakes our my FAVORITE!! I started making them a couple years ago..
OH MY!!! Your cupcakes look so tempting … I think I just gained 5 pounds. I need to make them. Oh My!! Those look divine. Will be trying this recipe. I might need to try them out a few times before serving them to my guests, just to make sure I get it right (wink, wink). Wow! So beautiful, I could eat them off my computer screen. And this is coming from someone who’s not terribly fussy about sweets. Thanks for the recipe. 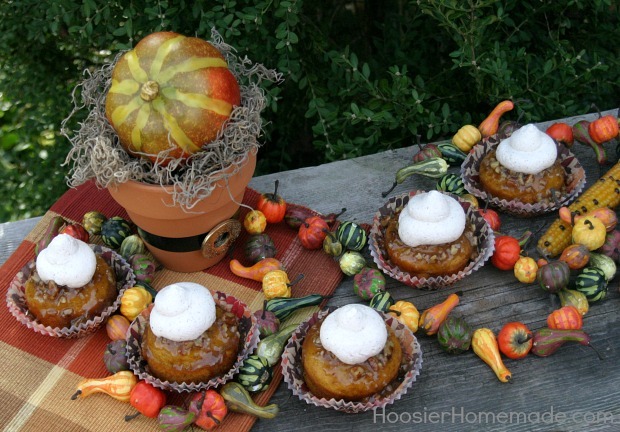 This is great to make with the kids, even though we don’t really celebrate Thanksgiving here in the UK. Thanks Anne! I think they would be tasty anytime, not just for Thanksgiving!